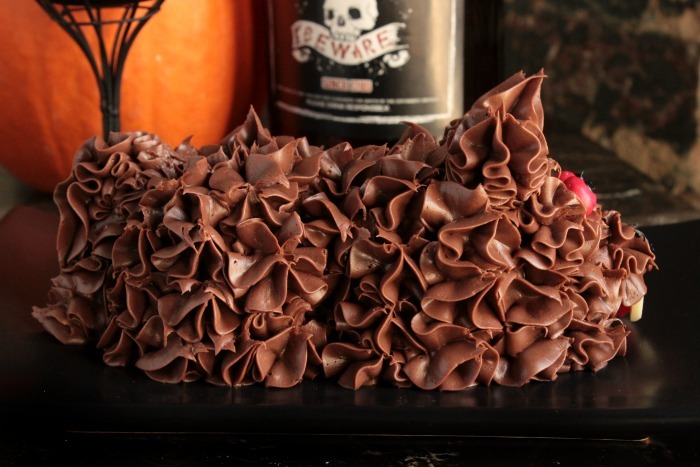 Cupcakes and Werewolf go hand and hand for Halloween! 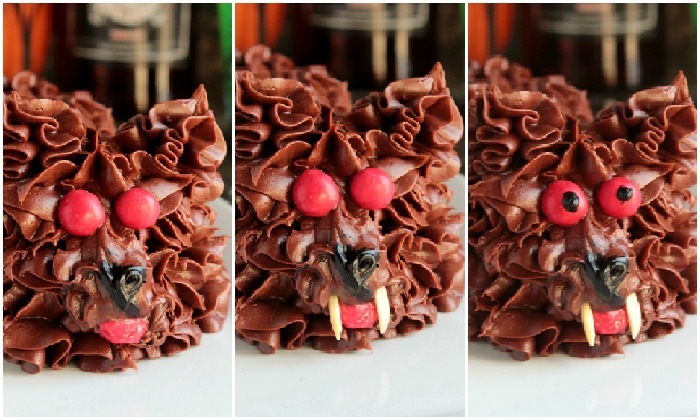 These werewolf cupcakes are easy to make with homemade cupcakes or storebought! 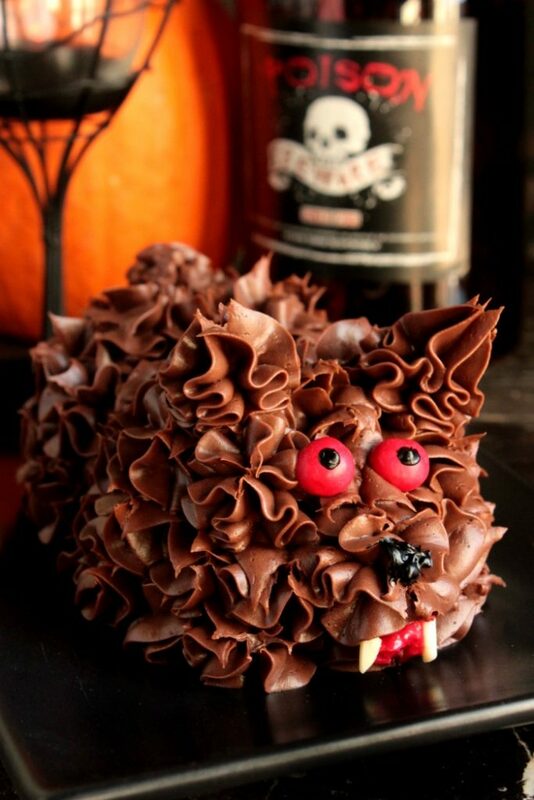 We’re taking two cupcakes, some icing, and some candies to make these cute little Werewolf Cupcakes! When we got married and moved to Jacksonville I was on a mission to become the perfect housewife. I was learning how to cook, teaching myself to get comfortable in the kitchen and I was also bored out of my mind! I needed something to do. I didn’t have a job yet, Thomas was on base all day for work (obviously) and I had hours and hours to myself. There is only so much cleaning and cooking one can do alone without going insane. So, I signed up for some cake decorating classes at one of the craft stores in town. One of the things they taught us in the class was how to make puppy cakes out of two cupcakes. I spent the next few days perfecting my new cake decorating skill. I’m sure Thomas got super tired of eating little puppy cupcakes after a few days. However, those puppy cupcake making skills have come in handy for bake sales. Let me tell you something. I’ve done quite a few charity fundraisers over the past years and when I make puppy cupcakes like this they always sell like hotcakes! People go crazy over them. So when it came time to work on Halloween treats, I thought about those little pup cakes and decided to turn one into Werewolf Cupcakes! So basically you’re just going to need 2 un-frosted cupcakes, frosting and a few candies for eyes. 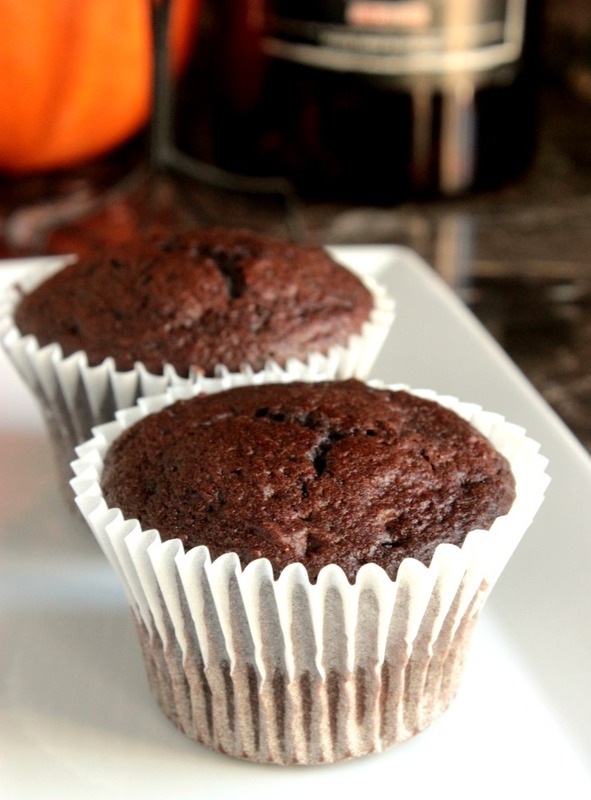 First, you’re going to need 2 cupcakes. 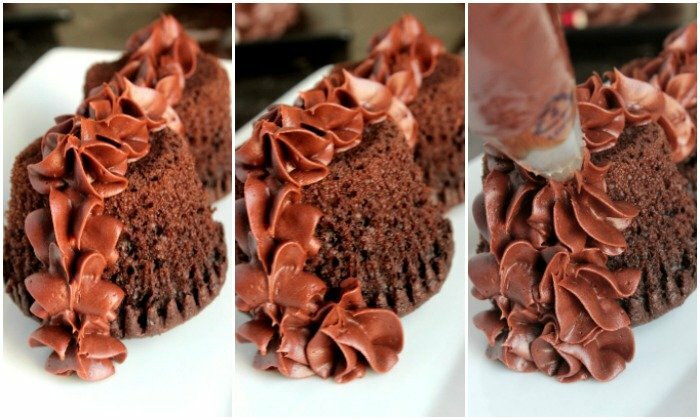 If you need a chocolate cupcake recipe, I suggest the base recipe for my German Chocolate Cupcakes over on BigBearswife.com. 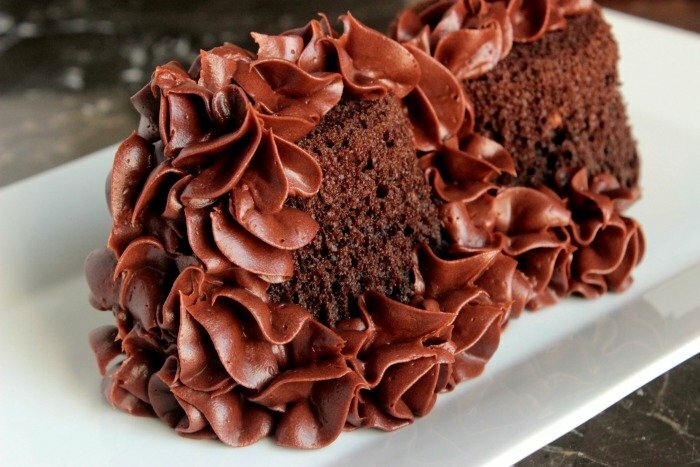 Next, you’re going to need chocolate frosting. Again, homemade or canned. Either way, it’ll do perfectly. 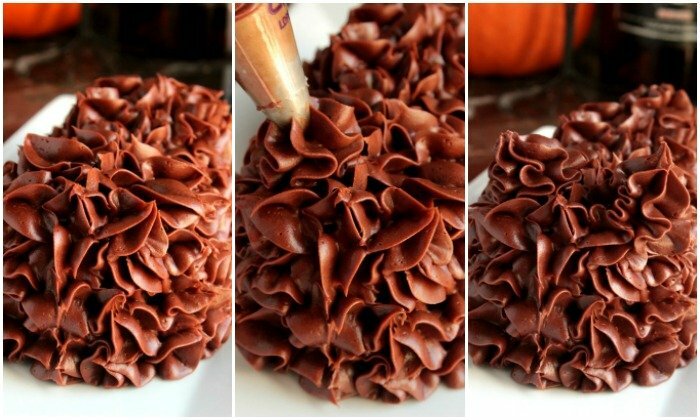 Fill a piping bag, fitted with a M1 large star tip, with chocolate frosting. 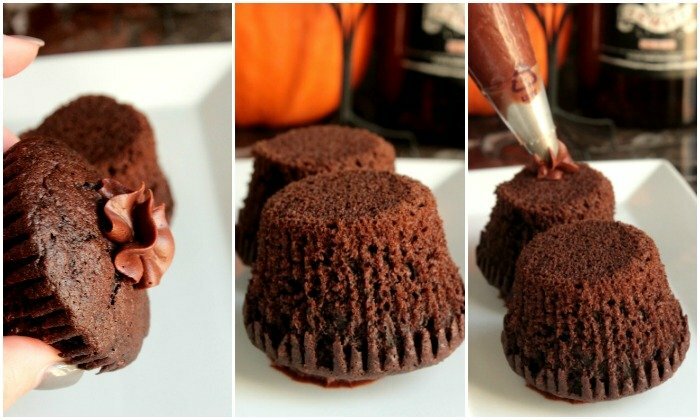 Remove the cupcake liner and pipe a little frosting onto the top of each cupcake. Flip them upside down and press them into a plate to “glue” them in place. Lastly, add a little mouth was some red icing and stick two almond slivers in for teeth and you’re done! Oh well, I suppose that you can also add a little tail like this if you like but I don’t know if it’s very noticeable. Now that’s it! 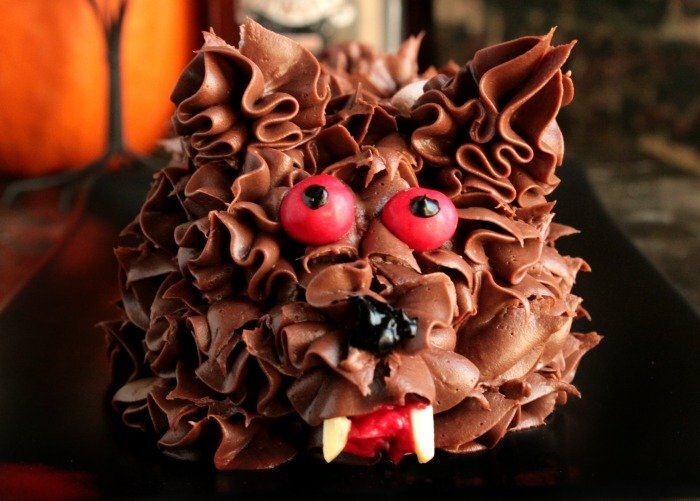 You’ve got a “creepy” Werewolf Cupcake for Halloween! 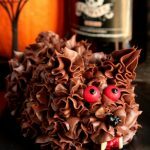 Cupcakes and Werewolf go hand and hand for Halloween! 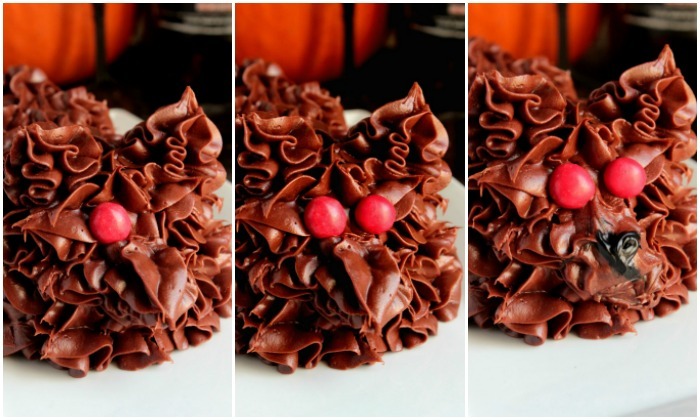 These werewolf cupcakes are easy to make with homemade cupcakes or storebought! 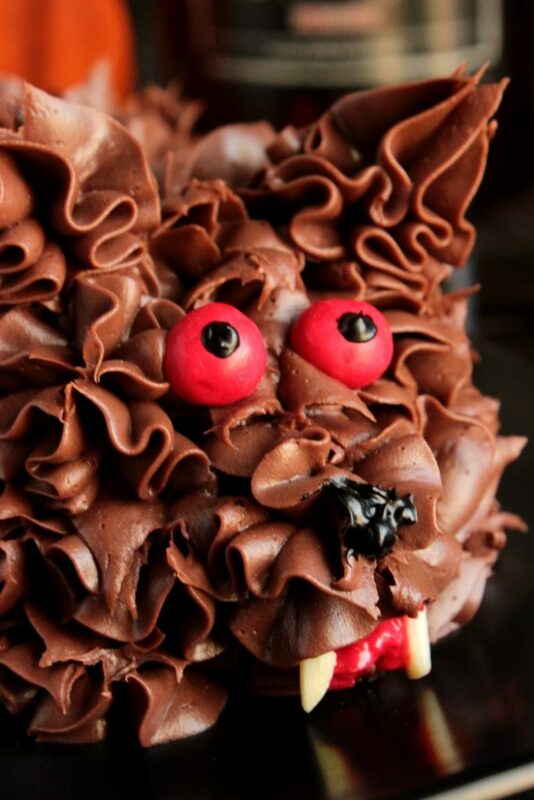 We're taking two cupcakes, some icing, and some candies to make these cute little Werewolf Cupcakes! I love how they turned out! 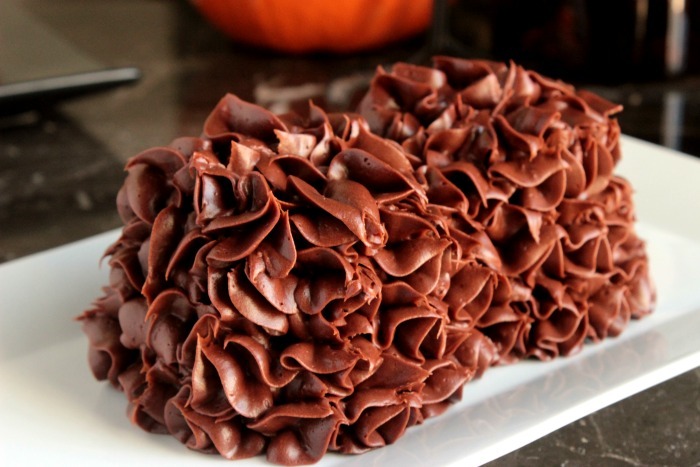 You could also do these with black frosting for a black werewolf! A black werewolf version with spooky green eyes would be awesome! 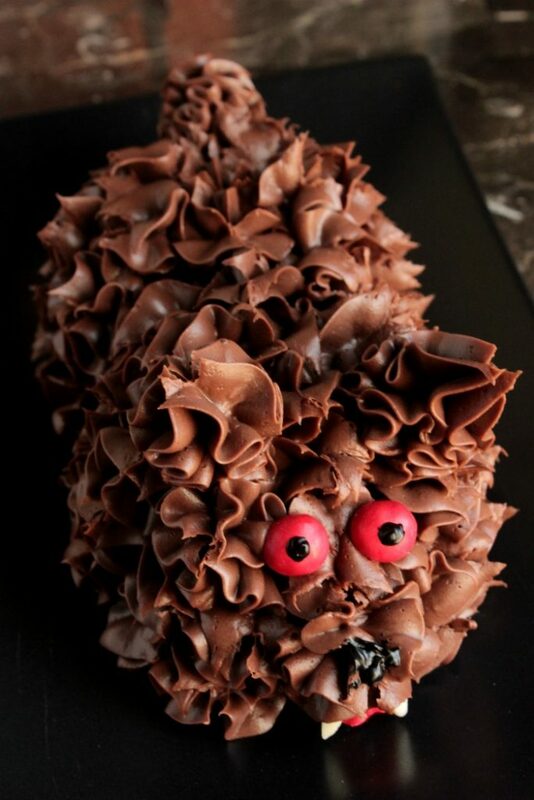 You can also use this werewolf cupcake decorating trick to make other little animals like dogs and cats! 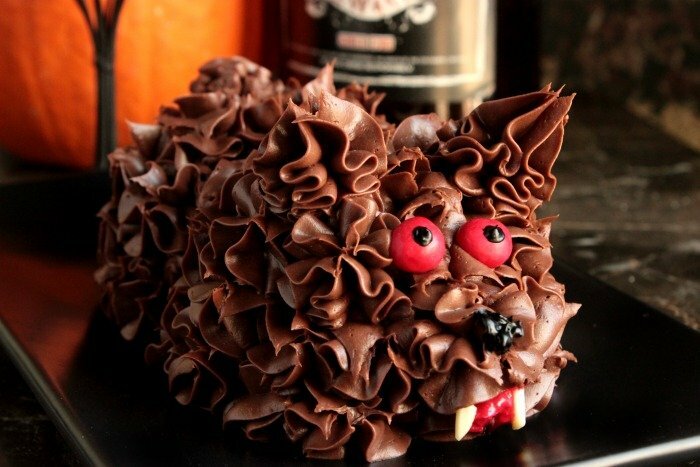 Want to learn how to make your own werewolf cupcakes? Previous Post: « Something Wicked This Way Comes……..